Ensure that you are registered to vote. Call your city’s clerk or verify by calling 1-866-OUR-VOTE. If you are not registered, you can’t vote. Be sure you know where you’re polling location is (It will say on your voting card). Remember that it may have changed since the last time you voted. If you can vote at more than one location, ask around to find out which one will be the least crowded. Vote early if you can. Allow yourself plenty of time because the traffic might be bad and the lines may very well be long. Be sure you know what time your polls open so you can schedule it. Remember to bring your ID information. Be sure you have a valid ID, passport and/or drivers license when you vote. Check with state requirements to find out what types of ID are required for you to vote in your state. If you’re not sure, bring EVERYTHING, including a photo ID. It is not advisable to wear campaign shirts, pins and such when you go in to vote. Some states don’t allow this. Play it safe and dress neutral. Wear comfortable shoes and dress ready to wait. If it’s cold outside, be sure you bring a coat. Maybe you can also bring something to read. Avoid long lines by voting in the mid-morning or early afternoon. These are proven to be the lightest times of the voting day. Help others to vote. Assist the elderly, the disabled and those without transportation. Be nice to the people voting for the opposing candidate. We are all brothers. Despite the animosity you see on TV (by many that know better), this is not the way to act. We must be respectful of those voting for another candidate. 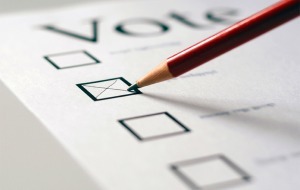 If your ballot has little circles to fill in, be sure you fill them in solid with a dark pen. Even if it gets late and the polls will close soon, if you are standing in line, you will get to vote. So make sure you at least have time to make it to that voter line. If they have problems finding your name, insist that they check again. If that still fails, insist on being allowed to cast a provisional ballot. Report any voting problems or suspicions to Election Protection. Their number is 1-866-OUR-VOTE or visit 866ourvote.org. Reference your ACLU website. There is a lot of information on voting rights specified by individual states. Here are the Voting Rights for Virginia for example.